fail to respond to one. Although most commonly used for civil cases, such as divorces, accidents, and custody disputes, subpoenas are also used for criminal cases. They are used by both the prosecution and the defense to gather evidence and build a case. If the law believes that a person has information that can help prove or defend a criminal case, the courts can issue a subpoena to legally order that person to provide the information they need. Example 1: Brenda is a cocktail waitress at the local sports bar. She witnesses a bar fight that results in serious injuries to one of the regular patrons. The regular patron files an injury lawsuit against the other participant in the fight. Later, she is served with a subpoena mandating her to provide testimony in court regarding her narrative of the incident. Example 2: Archie is Brenda’s employer at the bar she works at. She is getting a divorce, so he is subpoenaed by the court to provide her employment and paycheck records. If you are served with a subpoena, never ignore it. 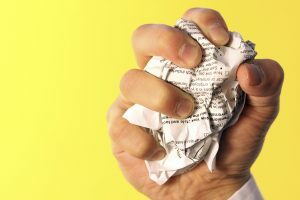 Failing to respond to a subpoena on time can result in serious legal consequences, including hefty fines, criminal charges, and imprisonment. If you are being represented by a lawyer, and you are served with or issuing a subpoena, your lawyer will generally handle all of the associated needs. If you are representing yourself, you can request a blank subpoena document signed by the court clerk and fill it out there. Subpoenas must be served in-person or by registered mail. Neither yourself nor lawyers can deliver or issue subpoenas. Lawyers will appoint a process server to deliver the subpoena to the recipient since it is not allowed to have anyone involved with the case handle this part of the process. If they are not properly delivered, they cannot be enforced by law. Call David E. Lewis, Attorney at Law, at 317-636-7514 if you were served a subpoena in Indianapolis, Indiana. He is an experienced and aggressive criminal defense lawyer that is eager to help you with your legal matters. He offers free initial consultations and even provides criminal record expungement services for those looking to seal their criminal history. 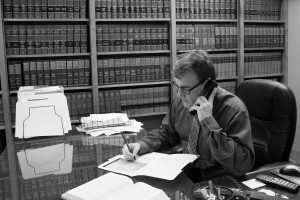 Call 317-636-7514 to schedule your consultation with a trusted Indianapolis criminal attorney, today. This entry was posted in Criminal Law and tagged criminal defense lawyer Indianapolis, criminal record expungement, Indianapolis criminal attorney, subpoena, subpoena Indianapolis, subpoena lawyer, subpoena served, subpoena server. Bookmark the permalink.